In this sitcom, a working-class family copes with the ups and downs of everyday life. The series originally ran from 1988 to 1997, and it was revived in 2018. The revival was abruptly cancelled when its star, Roseanne Barr, caused a controversy with racially problematic activity on social media. With everybody welcoming home baby Harris, and Becky learning she is expecting one of her own, Roseanne sits back and narrates life the way it really was as to the way she saw it. Roseanne and Dan are delighted that Darlene, David, and their new daughter, Harris Conner Healy, will be staying with them. D.J. has grudgingly given up his room for them and is moving to the basement. Audrey has come back to lanford (last seen in "We Gather Together"), and well she's released and she's there to kill Dan! Roseanne and Jackie are disturbed about the feeding frenzy in the media since the Conners won the lottery. But they're extremely excited about the bidding war for rights to the Conners' story for a TV movie. Dan comes to the house to pick up Jerry while Roseanne is out. Later, Dan returns to tell Roseanne he loves her and wants to reconcile. Eventually, she agrees they belong together. Roseanne has spent so much time with Edgar Wellman that Jackie accuses her of having a crush on him. At first Roseanne denies it, but eventually admits she finds him extremely attractive. When Roseanne and Jackie are invited to a luncheon at the exclusive Lanford Country Club, they're a little nervous. But their curiosity gets the better of them and they decide to attend. In a deep depression, Roseanne takes to her bed. She's stuffing herself with junk food and will only let Jackie in long enough to bring more food. Dan's getting ready to fly back to California, while Roseanne is driving all around Lanford buying fast food, stuffing herself in misery and listening to radio talk shows. Jackie confronts Dan about the phone conversation she overheard, and Dan admits that he's been having a relationship with his mother's nurse. They haven't slept together and Dan still loves Roseanne, but he doesn't know what to do. Roseanne is missing Dan terribly, and it doesn't help that Jackie spends all her time giggling on the phone with the prince. Roseanne's worried that with all her redecorating, Dan won't recognize the place. Roseanne is depressed that Dan won't be home for Thanksgiving. But she's elated that for the first time ever, she won't have to cook since she's having the meal catered. And though she's surrounded by her family, it doesn't quite feel like home. When a bunch of woman-hating terrorists hijack a train, it's up to Roseanne to save the day. Rosie and the clan are invited to stay at the Wentworths, which turns their lives topsy turvy!. Roseanne, Jackie and Nancy attend a high society party in New York for the launch of a new perfume. They are surrounded by celebrities and society people who prove to be a bunch of name-dropping phonies. Roseanne and Jackie visit a spa. Prince Carlos of Moldavia sees Kathleen Sullivan's interview with the Conner family and decides that he has to meet Jackie. He arrives at the Lanford Lunchbox and introduces himself to Jackie, who thinks it's all a joke. Dan's friends and family wonder what's up when he begins pondering the meaning of life. Everyone assumes he's in a pensive mood because he's won so much money in the lottery. Jackie rushes over to let the Conners know that they've just won the lottery prize of $108 million. The family is stunned, but they soon begin fantasizing about how they'll spend the money. After their big fight, Dan leaves dozens of messages for Roseanne on Jackie's answering machine, trying to reconcile. Jackie reminds Roseanne that they have "scientifically picked" numbers for that night's drawing. 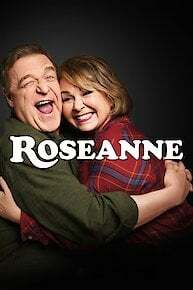 Did Sara Gilbert Destroy Roseanne Barr's Career? Roseanne says her co-star is responsible for her downfall. And she took to Twitter to vent. Are Viewers Finished with TV Reboots? Turns out, TV viewers might actually like to see something new. Will 'The Conners' Survive without Roseanne? The spin-off of 'Roseanne' has some high expectations to meet. The news came as a shock to all of them. She still blames the sleep aid for her problematic recent behavior. The actor says his former co-star is definitely not a racist. Allen laments that there are now some things comics can't say. Fox News' Sean Hannity forgives her, sort of. Roseanne didn't think she could find a friendly interviewer to tell her story, but Hannity should be just the ticket. She thinks her career was the victim of a political assassination. Barr continues to insist she's not racist. It's the only way she can avoid the fake news media. Roseanne is currently available to watch free on Pluto TV and stream on ABC. You can also stream, download, buy, rent Roseanne on demand at Amazon Prime, Amazon, Vudu, Google Play, iTunes online.